Huesca vs Alaves predictions for this Saturday’s game in Spain’s La Liga as the hosts aim to finally climb off the bottom. Read on for our free betting tips and predictions. Huesca are hoping to take another step in the direction of a miraculous escape when they host Alaves this Saturday in La Liga. The Aragonese minnows have defied the odds to creep back towards the sides above them and they will end their long stay in bottom spot if they avoid defeat here,although it’s a game they really need to win. Alaves will have a similar thought. They are in the midst of an unlikely European push and victory here would guarantee they end the weekend in 5th place, above the likes of Sevilla, Betis and Valencia. They did though lose ground on their main rivals last weekend after they were held to a home draw by Basque rivals Alaves. Huesca suffered a defeat last time out as they surrendered a 2-1 lead to lose away to Getafe, the side who Alaves are currently hoping to catch. Huesca’s overall results are much improved though and they currently lie in the top half of the form table for the last 8 games. They’ve taken 2 more points than Alaves over the course of that period. The bookies make Huesca the slight favourites here and that’s probably about right but it’s hard to really strongly fancy either side to take maximum points from this one. 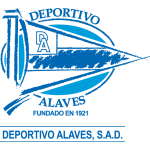 Alaves have had a wonderful season but they have tailed off a bit and have only won 2 of their last 10 on the road which isn’t great for a side that is pushing for a top four finish. They have at least rediscovered an ability to be tough to beat with no defeats in their last 5 matches overall. 3 of those games finished level though and a repeat looks likely here. Huesca were fortunate to beat Sevilla in their most recent home game with their 98th minute winner coming against the run of play. They’d only won twice all season at the Estadio El Alcoraz prior to that and it’s still hard to see a great deal of value in backing them to win outright at relatively short odds, given they are La Liga’s bottom club. Given that, backing the Draw could be the best option here as two of the league’s five lowest scoring sides meet. Alaves have scored just one more goal this term than Huesca, who average exactly one per game. Therefore, it’s unlikely to be a goal-fest and backing a 1-1 Draw looks good in the Correct Score market. Huesca lost their only LaLiga meeting with Alaves, 2-1 at Mendizorroza in the reverse fixture earlier this season. Alaves have won their last four games against Huesca in all competitions, three in Segunda and one in LaLiga. 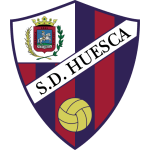 Huesca have only lost one of their last three games at El Alcoraz (W2), however this defeat was against a Basque opponent (0-1 vs Athletic Club in February). Alaves are unbeaten in their last five LaLiga games (W2 D3) – this after losing the previous three and failing to score in all three. Alaves have collected more points from 90+ minute goals in LaLiga this season than any other side in the league (7 points). Huesca have spent 855 minutes trailing in LaLiga this season – only Real Valladolid have spent longer behind (869). Just 2% of the goals Huesca have conceded in LaLiga this season have been headers; a league-low. Ezequiel Avila has scored five LaLiga goals this season – more than any other Huesca player, with three of those coming as a substitute. Takashi Inui has scored in back-to-back LaLiga games for the first time in his Alaves career – something he last did in the competition in December 2017 when playing for Eibar. Huesca’s Francisco Rodríguez is winless in his last three managerial home meetings against Basque teams in LaLiga (D1 L2), with his team failing to score in all of them.